After our night at Hofsas Hotel, Miss Julia Reed Nichols and I decided to explore Carmel-by-the-Sea’s storybook four-block downtown. 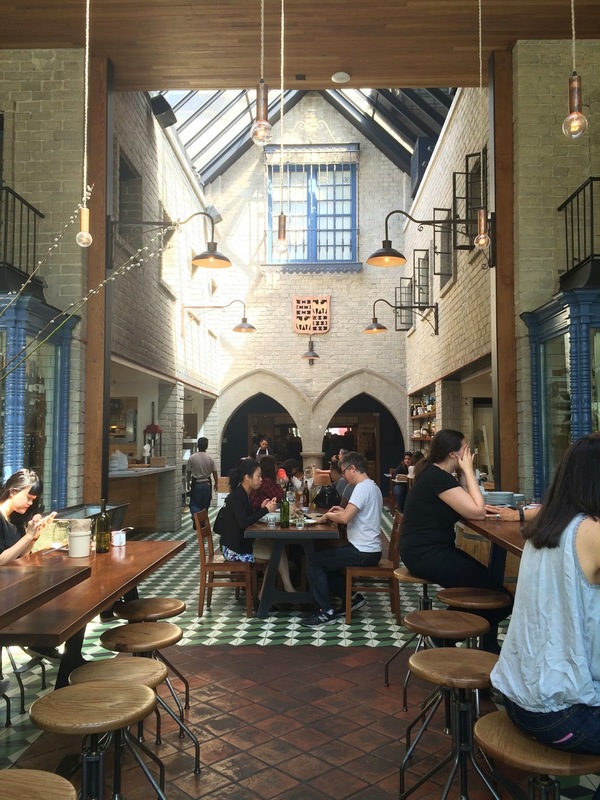 Peppered with local Monterey wine tasting rooms and numerous art galleries, it’s the perfect place to intentionally get lost. We were doing exactly that when we stumbled across Trio Carmel, which along with being a Monterey wine tasting room AND art gallery, also harbors a delightful amount of space dedicated to the sale of Ultra-Premium Olive Oil and Balsamic Vinegars. Trio encourages its patrons to sample freely; morsels of bread dot the end of each shelf. But you must save room to fully experience Trio, as there were at least fifty bottles to discover throughout the sleek modern space. Some of my favorites included their Fused Blood Orange Olive Oil (made by pressing whole fruit and olives together), the Baklouti Green Chile Olive Oil (which is spicy and green at the same time), and their Garlic Olive Oil (which had a great soft roundness that comes from cloves of roasted garlic). Prices were pretty reasonable, around $13 for a bottle or you can get a mini-6-pack for $30. 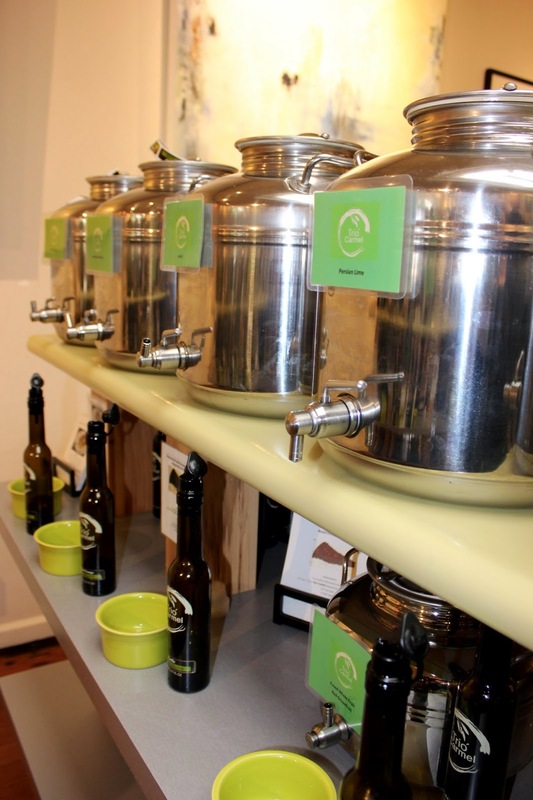 We opted for the later, splitting the deal for 3 olive oils each. 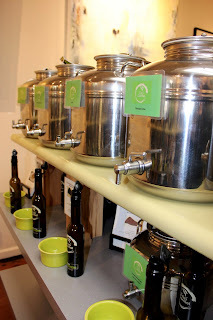 The hardest part of the whole tasting was figuring out which unique olive oils made the final cut for future salad dressings! As always, hope life is delicious! 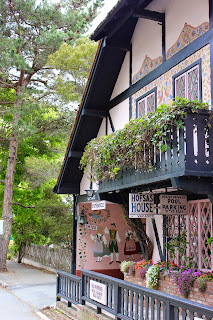 As Edible Skinny meandered down the Central Coast we found ourselves in the sleepy storybook town of Carmel-by-the-Sea for a night’s sojourn at the European style Hofsas House. Renowned architect Mies van der Rohe famously noted that, “God is in the details,” but for the Theis Family, who have owned and operated their hotel for over 60 years, the architecture of hospitality is structured in the details of romance. Carmel was rated #3 on Travel + Leisure’s list of the world’s best cities for romance; thus making it the perfect hamlet for that weekend couple’s getaway. The enchanting Hofsas House is located within walking distance of everything adoringly Carmel: gorgeous driftwood filled beaches, sumptuous restaurants, and bohemian shops cloistered away in secluded courtyards. 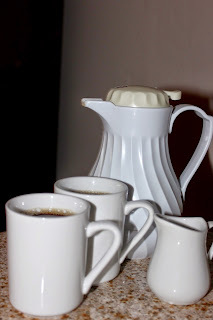 For Hofsas House the word hospitality tailors itself to each guest. From their 38 one-of-a-kind rooms that boast European charm and comfort with Dutch Doors allowing enjoyment of the vista views of the pines that crest the Pacific Ocean. 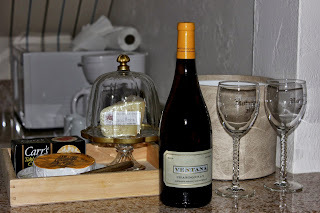 To a Monterey Wine & Cheese Pairing ($30) that perfectly compliments one of their many cozy fireplaced rooms. To a Beach Fire and S’Mores Bundle ($60), which includes a wood bundle and starter, all the necessary chocolate/marshmallow/graham supplies, a flashlight, and snuggly blanket so your twosomes can gaze upon stars that just beg for adoration. To the morning a continental breakfast abound with coffee carafes and trays that can be piled high with fresh pastries from the local neighborhood bakeries for the perfect breakfast in bed. So go and find your details, for romance whispers to all who come to this charming retreat. 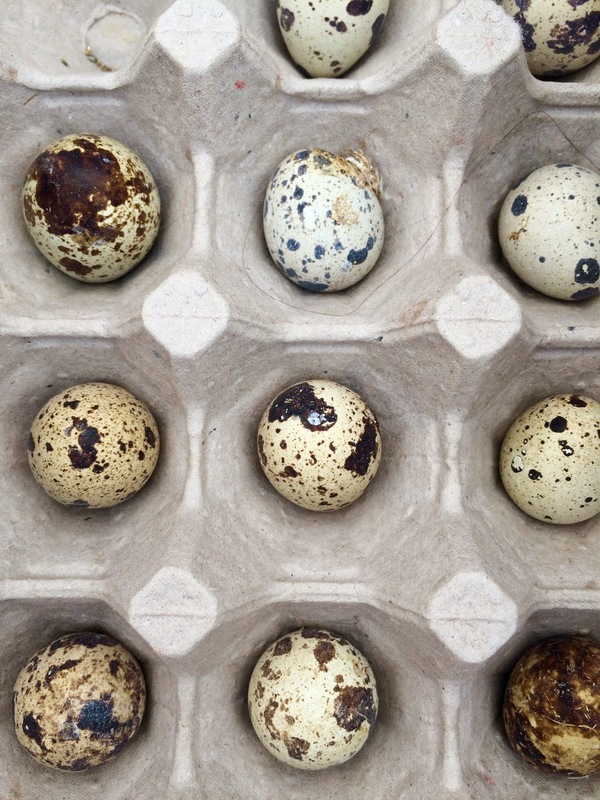 Edible Skinny was at the Mar Vista Farmers Market last Sunday and we were delighted to discover the world of De-La Ranch's exotic eggs! Located in Lake Elsinore, California De-La Ranch is a small sustainable family farm that focuses on farm fresh meat and fowl. 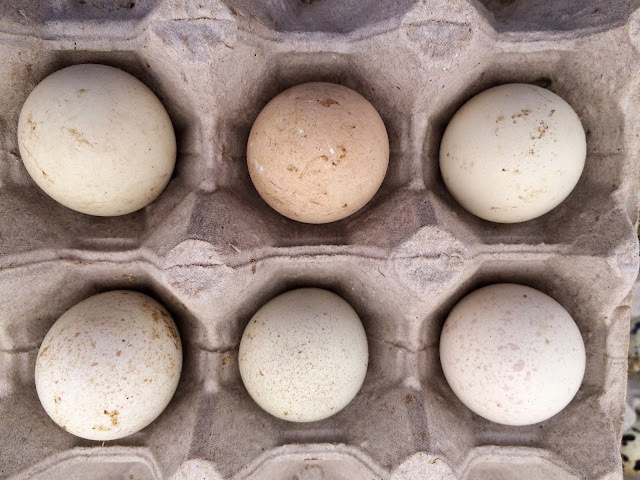 Along with your classic chicken, the farm also sells duck, quail, goose, and guinea fowl eggs (it produces around 200 of those little buggers a day). After some consideration we bought both turkey and duck eggs from Farmer Dave. Turkey eggs have a solid yolk and a grainy shell (it feels like sandpaper on the outside) that is specked. 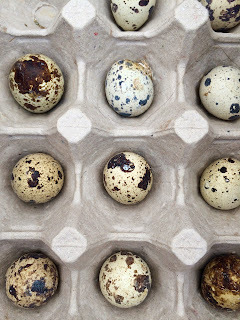 Turkey eggs used to be more popular to the American diet (remember the turkey was almost our national bird...). Turkey egg omelettes were a regular offering at Delmonico’s restaurant and Victorian celebrity chef Alexis Soyer believed them to be superior in baked goods recipes than chicken eggs. 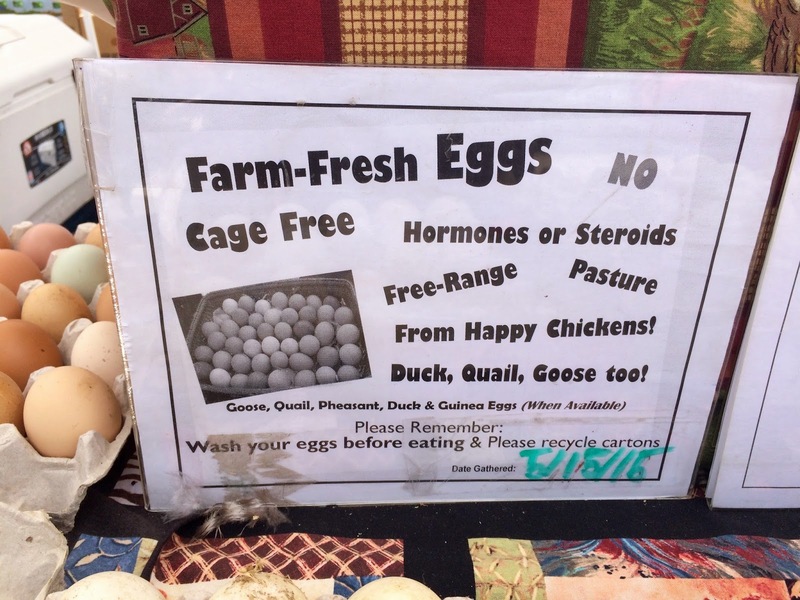 But our absolute favorite were the duck eggs! Their yolks are ginormous and they have a richer nutrient level (more protein and fat) making them creamier than any other egg out there! Duck eggs have a smoother thicker shell than turkey and chicken (seriously it took forever to break them!) They make the most delicious over easy eggs you have ever had (especially when paired with Hepp’s Black Truffle Salt). So if you’re looking to make your breakfast exotically delectable perhaps it’s time to swing by the Mar Vista Farmers Market and see Farmer Dave! Here’s to life being delicious! Splish Splash!!! 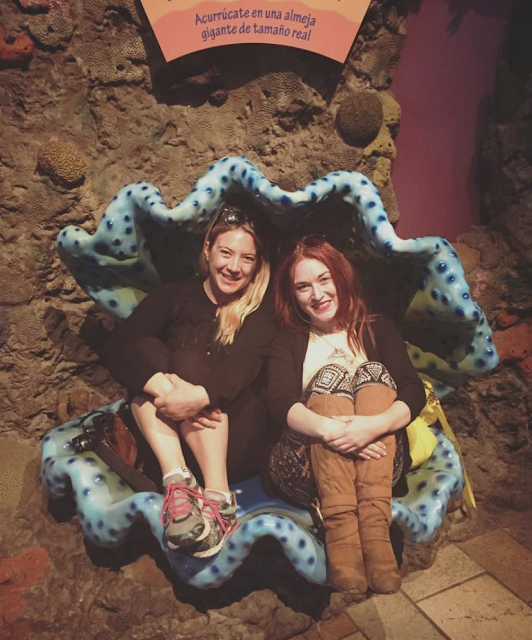 While up in Northern California Edible Skinny was lucky enough to experience the watery wonder of the Monterey Bay Aquarium! Rated the #1 aquarium in the world by TripAdvisor, the famous educational fish tank is located bayside on the site of a former sardine cannery on Cannery Row (go figure…). 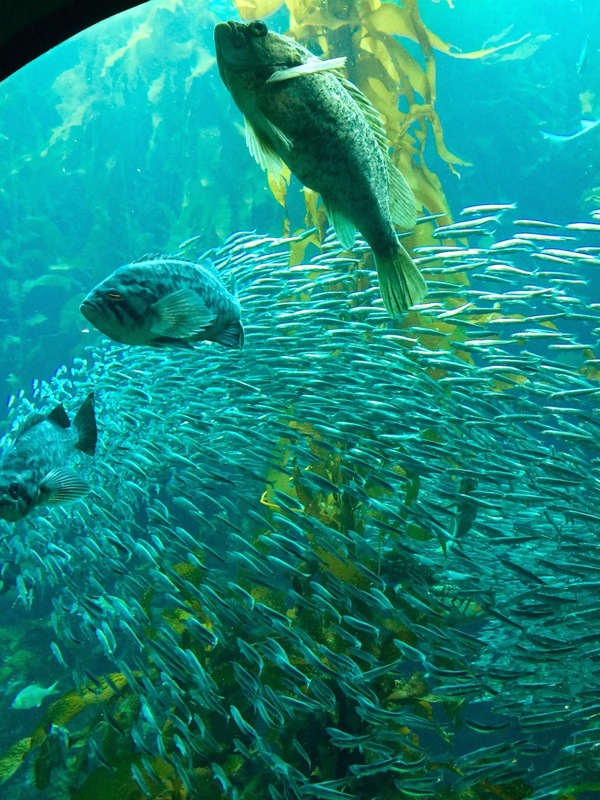 Showcasing the wildlife and habitats of The Monterey Bay National Marine Sanctuary it has an annual attendance of more than two million visitors. While there Edible Skinny discovered the extraterrestrial world of kelp forests, granite reefs and the open sea filled with sharks, sea otters, penguins, octopuses, jellies and countless other creature. The aquarium’s 28-foot Kelp Forest is one of the tallest aquarium exhibits in the world. It allows a scuba diver’s eye into the world of sardines (so much cooler than they sound), leopard sharks, and eels as they bob and weave through swaying fronds of kelp! We were on site to experience the fish’s afternoon meal, which actually featured a scuba diver handing out the niblets! Talk about a feeding frenzy! 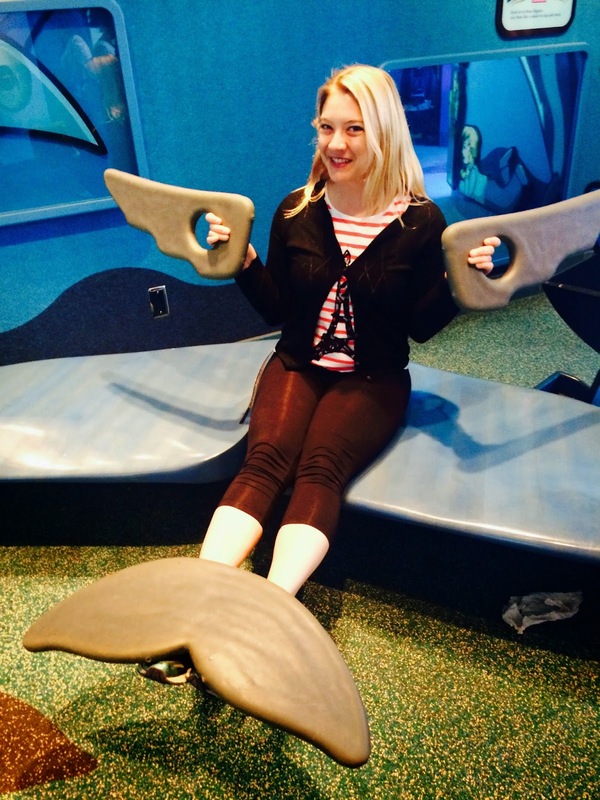 The Monterey Bay Aquarium prides itself on being an educational site so many of the exhibits are extremely interactive. 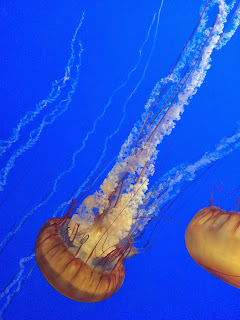 My personal favorites were the two jellyfish exhibits (that’s right, not one but two!). Our ticketing agent informed us that each exhibit was very different, a comment we didn’t take to heart until we experienced for ourselves! The first was your classic beautiful balletic jellyfish illuminated with film noir like precision; the second was their special exhibit, The Jellies Experience, a groovy far-out world where these stunning animals were reimagined in a swinging sixties lifestyle. Both were fantastically mesmerizing reminding us that every moment of life is delicious! Edible Skinny was lucky enough to travel to Monterey and Carmel for the last few days for a fabulous travel trip (more on that to come!). During our return to Los Angeles we were able to enjoy the majesty of the Big Sur drive. While on this impressive trek we were able stop and encounter the magical world of the Piedras Blancas Elephant Seal Beach. 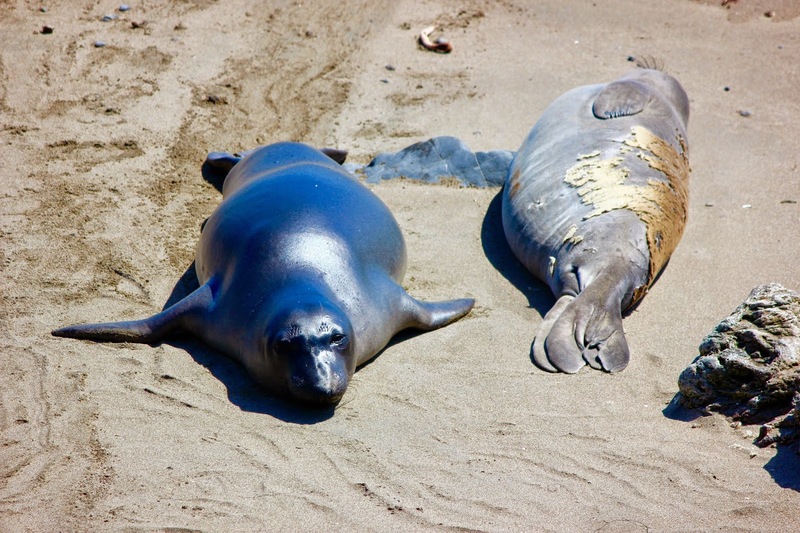 In 1990, just under two dozen elephant seals were seen on the beaches outside of San Simeon (also home of the Hearst Castle). 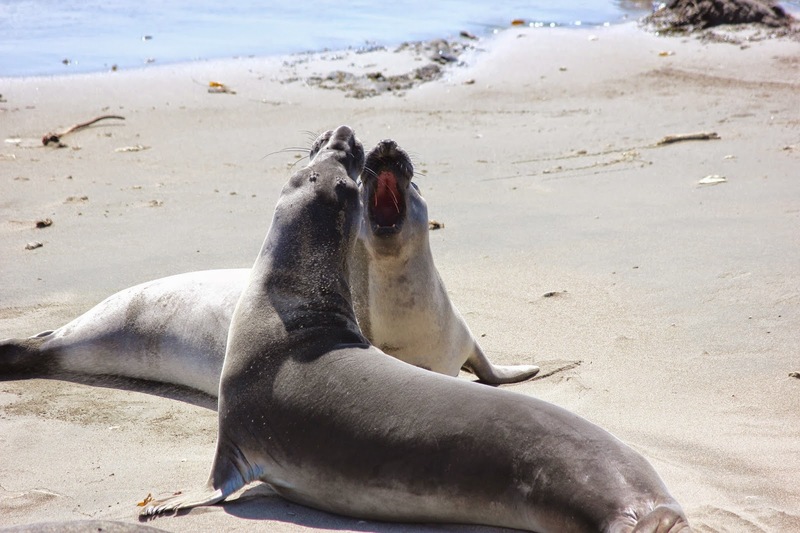 Only a few years later, more than 400 seals were counted, primarily due to changing migration patterns. 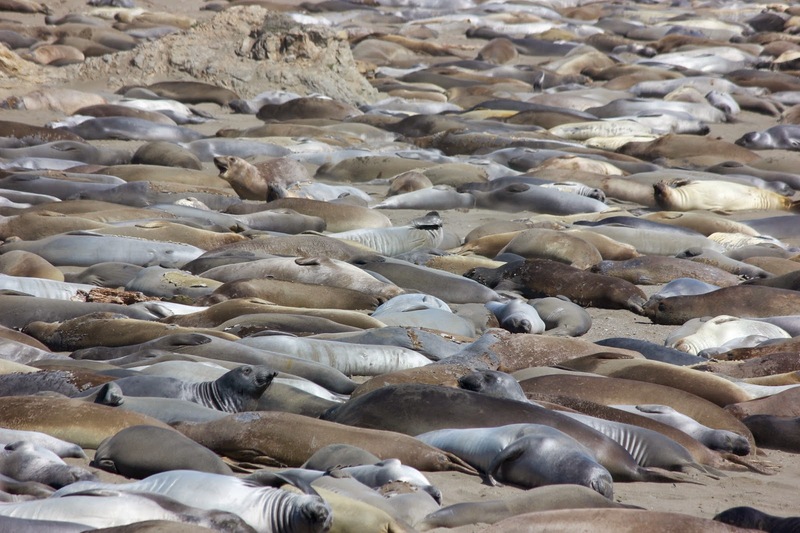 Now about 20,000 elephant seals call this beach home. 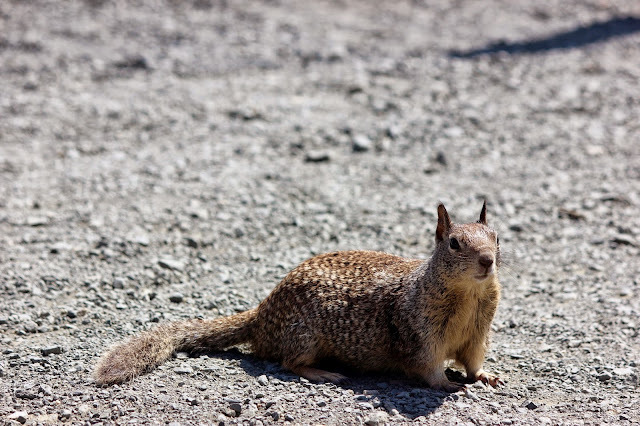 Thanks to a very long camera lens I was able to get some great pictures of these epic animals (and one very friendly squirrel)! 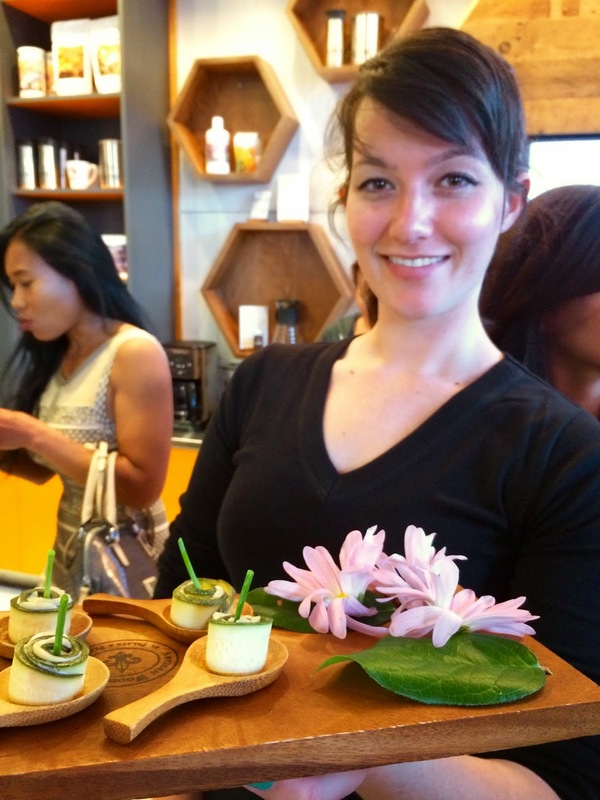 Edible Skinny was lucky enough to attend the grand opening of the flagship Bulletproof Coffee Shop and Café in Santa Monica last week. Biohacker, best selling author (The Bulletproof Diet), and Bulletproof Coffee creator Dave Asprey was on hand to marshal in the brand’s first brick and mortar! 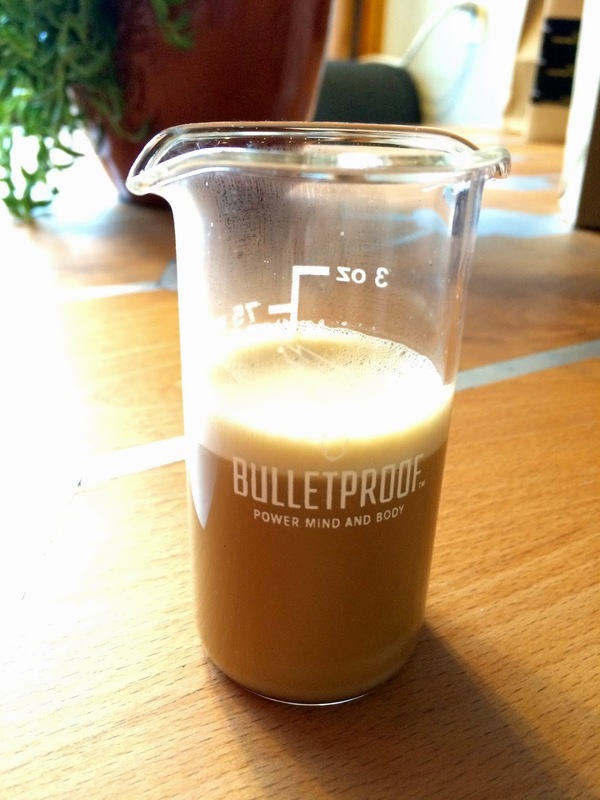 Some call Bulletproof’s butter coffee lifestyle a cult, others the perfect solution for taking control of their life. Asprey chose Los Angeles as the first location for his coffee shop based on readership of his Bulletproof blog. Actor Brandon Routh, Late-night host Jimmy Fallon, Actress Shailene Woodley, and Music Producer Rick Rubin all follow Asprey’s Biohacking lifestyle. Believers states this high-fat diet can lead to weight loss, an extra energy boost, avoiding that pesky afternoon crash, and keeping yourself mentally focused. The apex of techie coffee creations (Bulletproof’s drinks will be served in glass beakers), will use only butter from grass-fed, pastured cows (like Kerrygold), Brain Octane MCT oil, and single-origin, organic coffee that's grown, harvested and stored so as to be pesticide and toxin free, and less likely to cause inflammation in the body (like the Paleo diet any food that creates inflammation is a BIG no no). Since Bulletproof Coffee is meant to be a meal replacement, the cafe won’t serve breakfast, but options from its lunch and dinner menu were tray passed during the opening. There were many carnivore delights (including the exotic lamb’s broth… but not for this Veg). I mostly stuck to the dessert bar, which included Coconut Cream Semi Freddo and Chocolate Pudding with Coconut Whipped Cream and Raspberries. Lots of sweetness and still Bulletproof friendly! So if you’ve ever thought about jumping into the world of butter coffee, your chance to Biohack your morning Joe has just arrived! The Bulletproof Coffee cafe and shop is opening soon (the date was unsure) at 3110 Main St. in Santa Monica, with hours of 6 a.m. to 9 p.m. Mondays through Fridays and 7 a.m. to 9 p.m. Saturdays and Sundays. 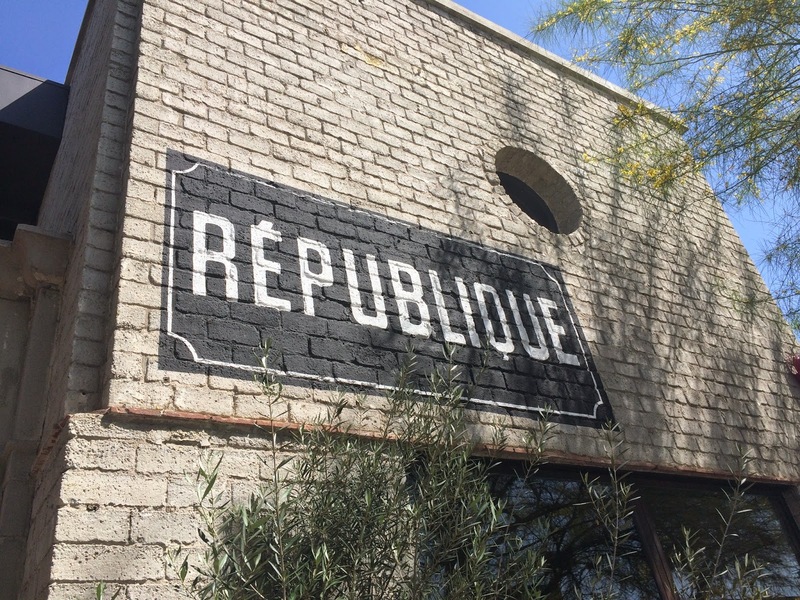 Edible Skinny was lucky enough to recently attend an exploratory trade tasting for the Wines of Northern Greece at the super trendy Republique (seriously, you need to call for month out reservations at the bar…). There’s so many jokes that could be made about how the wines of Greece are “all Greek” to most Americans, but we here at Edible Skinny are going to display some restraint on this other than to say it’s absolutely true! 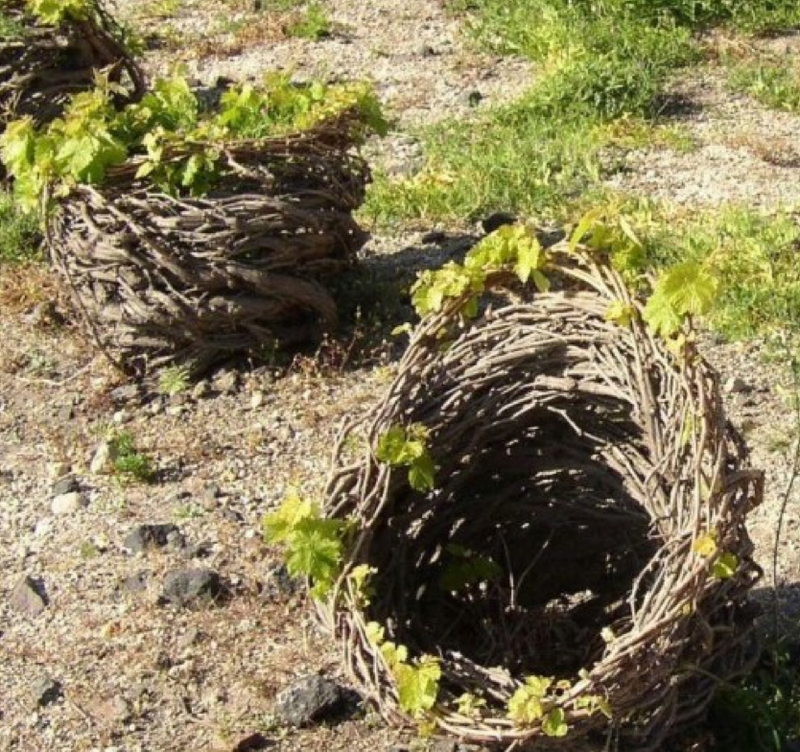 There are 333 indigenous grapes to Greek wines, none of which you could probably name off the top of your head… Fortunately in the name of broadening horizons, these ancient varietals are experiencing a Renaissance for their unusualness, fine quality, and reasonable price tag. Enter Domaine Porto Carras, one of the event’s featured wineries where we were able to experience a multitude of these exotic varietals. 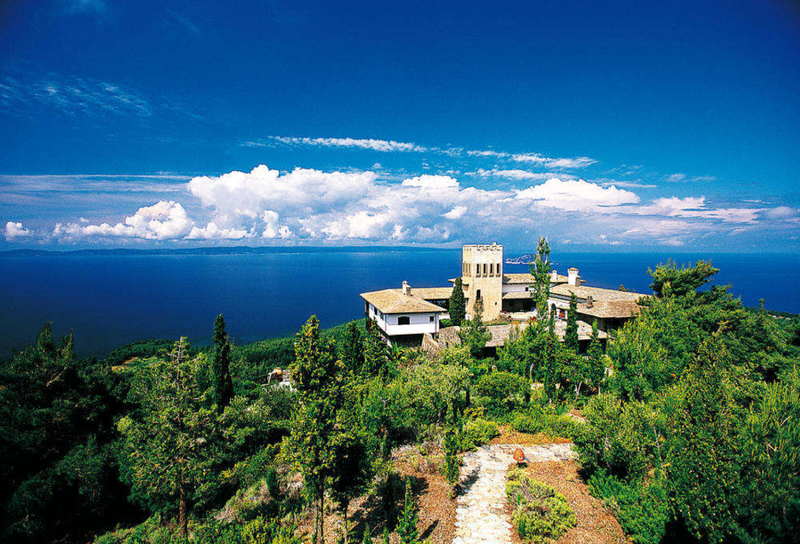 Located on the western coast of the Sithonia peninsula in Halkidiki, Domaine Porto Carras is Greece’s largest vineyard at a total area of 4750 acres. The wines of Domaine Porto Carras began in the late 1960s when they began organically growing 28 select varietals on the property. 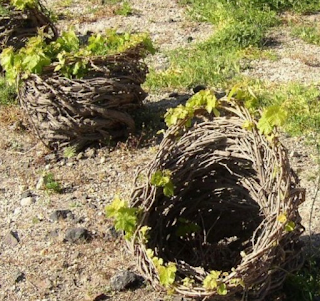 The microclimates of Halkidiki and eastern Macedonia make the region ideal for vineyards (many grown in intriguing looking “grape baskets”). These conditions allow whites such as Asyrtiko, Athiri, Malagouzia, and Rhoditis (now you get what I mean about not having heard of any of those 333 indigenous varietals…) and reds such as Limnio, Cabernet Sauvignon, Cabernet Franc, Merlot and Syrah (okay, maybe you’ve heard of a couple of those…). White or red, all of Domaine Porto Carras grapes are hand picked. 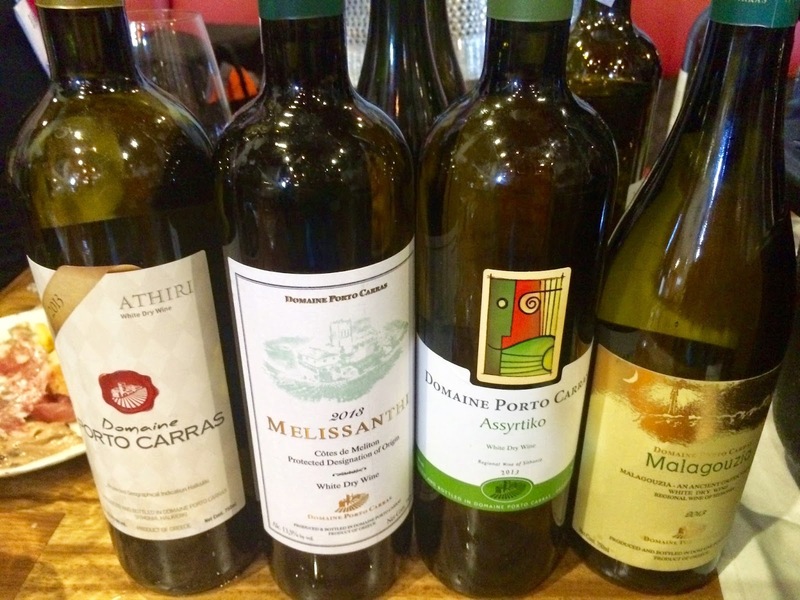 Greek white wines are notorious for being sweet and very much fruit forward. While at Republique, I checked out Domaine Porto Carras’ myriad of white varietals including: Athiri ($19.45), with its expanding pear and peach palate; Assyyrithiko ($19.56), apples and citrus bubble on the tongue: and Malagounzia ($25.47). 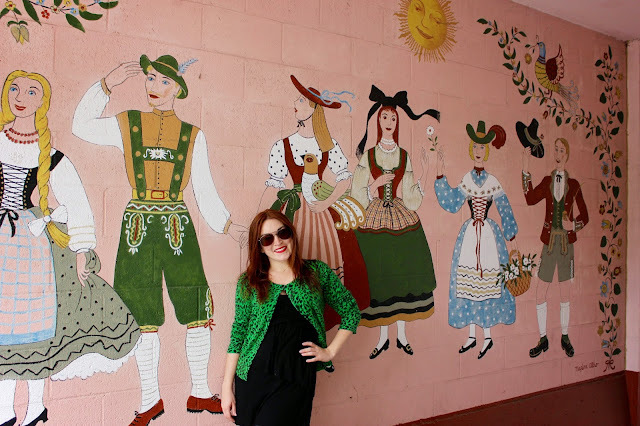 My American palate favored the Malagounzia, mainly for the unusualness of it. This wine was like nothing I had ever tried before; one sip was like drinking a summer salad with notes of peach, apricot, and mint. Domaine Porto Carras whites were charming, but I definitely loved exploring their reds more. First up was their Limnio ($20.81). Limnio is an ancient varietal mentioned in works by the great philosopher Aristotle and poet Hesiod. This is the only wine on the market that is 100% Limnio (usually it is used more as a blending grape). The wine was ruby red colored with a nose of pepper, currant, and cinnamon. A medium body wine that was light on the palate, but swarmed your mouth with ripe black berries. Next was there Magnus Baccata ($27.48), Silver Medal Winner at Concours Mondial de Bruxelles 2012, a cuveé wine of Syrah and Cabernet Sauvignon. The wine was very California friendly with aromas of chocolate and baking spice and an elegant background of black pepper and balanced tannins. It is normally served slightly chilled, 10 minutes on ice is ideal. The last red (my favorite!) was the Chateau Porto Carras ($34.15). An award winning cuveé of Cabernet Sauvignon, Cabernet Franc, Limnio, Merlot. Known as the Best Bordeaux outside of Bordeaux (without the Bordeaux price tag…) this wine was a Silver Medal Winner ISWC 2012. This was a delicious rich full body wine with a deep eggplant color. The nose was dominated by blackberries and vanilla; the palate that was delicate, smooth, and smoky with a long velvety finish. So if you’re looking for the taste of something exotic perhaps you should check out one of the 333 choices that Greece has to offer! For a female one the surest signs the day has come to an end is when we start wiping away the layers of makeup caked on our skin. And what better way to do this with a biodegradable towelette from Pacifica? Last year Edible Skinny’s Best of Fest for the Natural Products Expo West included Pacifica’s new makeup line and this year we’re in Love again! This time it's with their Coconut Water Cleansing Wipes! These super soft coconut water infused towelettes cleanse your face while removing toxins, oils, pollutants, and make-up your skin without water. Papaya, a natural exfoliant, helps revive skin and remove dead cells. Aloe Vera and Calendula soothe and calm. Along with all these great non chemically ingredients the wipes also smell amazing and are vegan! 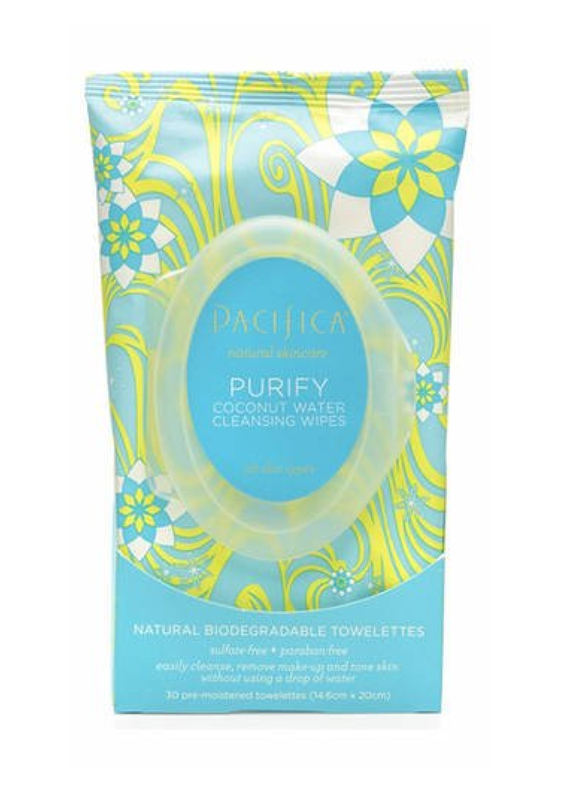 We’re raving for a right reason as these are Pacifica’s most popular item. 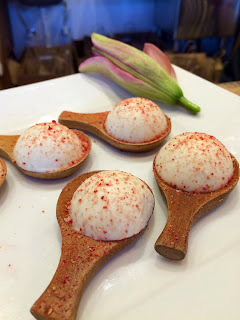 One of Edible Skinny’s favorite new discoveries at this year’s Natural Product Expo was Pok Pok’s Som. Som is a fun sweet and tart fruit and vinegar based concentrate that makes a refreshing all natural soda alternative or a unique cocktail mixer. With multiple health properties and only a wisp of calories, drinking vinegar is having quite a comeback. 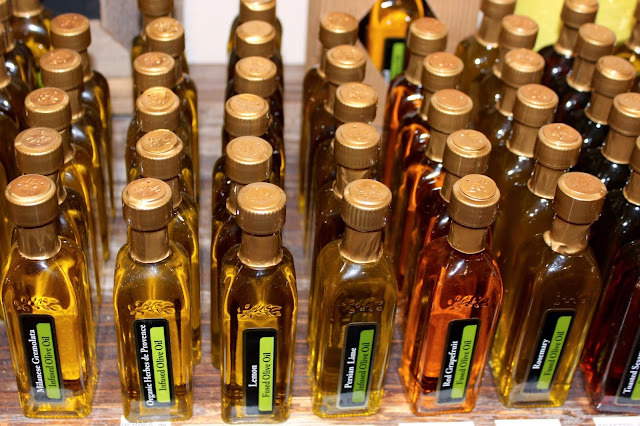 Using vinegar for natural cures is an age-old practice in many cultures around the world, including here in North America, when in colonial times "shrubs" were a common way to preserve fruit for the winter. Portland Chef Andy Ricker, a James Beard Award recipient for his take on regionally specific Southeast Asian cuisine with his restaurant Pok Pok, decided to create his own drinking vinegars after finding them in local Asian markets in Portland, Oregon. 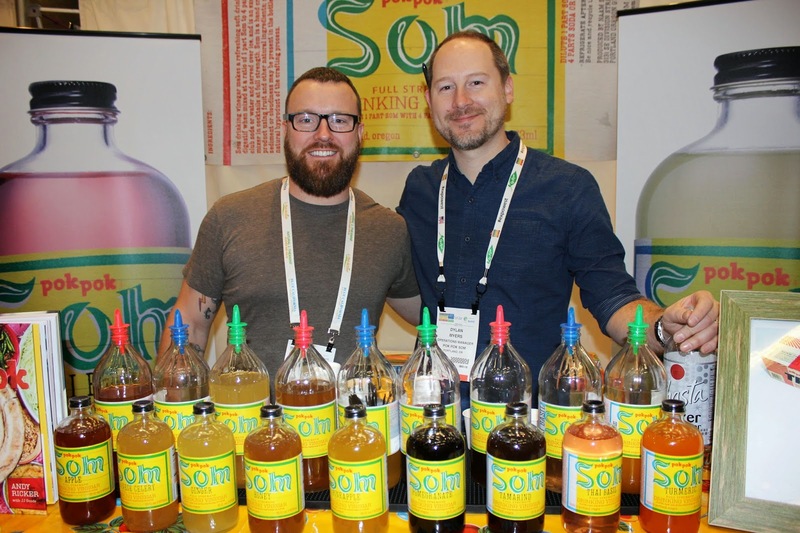 Apparently he did a good job, as Som was the Winner of the 2014 sofi Award for Outstanding Vinegar Category from the Specialty Food Association. Compared to the drinking vinegars Ricker found in the markets, Som has more fruit flavor and lacks that nasty artificial flavor found in many of its competitors. Some of Som’s more popular flavors include Apple, Ginger, Pineapple, Pomegranate, Tamarind and Thai Basil. 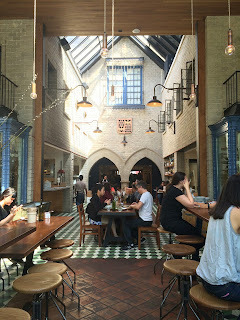 Som is now used in all 9 Pok Pok restaurants in cocktails and non-alcoholic drinks (including their LA location!). 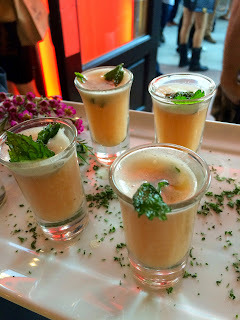 Som can be used to make an all natural soda or to master that perfect healthy cocktail. Their Ginger and Thai Basil Som are perfect for something that will delight even a master mixologist. The Exotic Eggs of De-La Ranch!